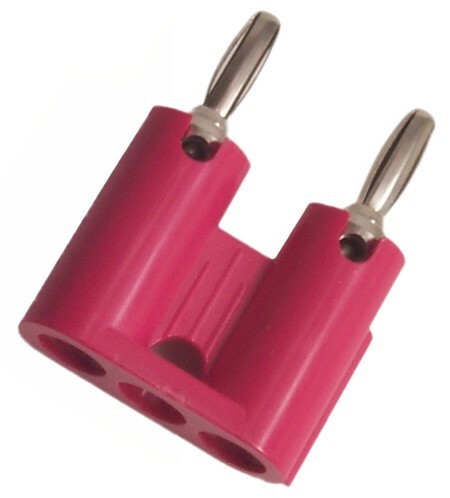 Shorting type adapter with dual banana jacks to dual banana plugs. Internal busbar shorted across line. ABS body contains banana jack holes for side stacking. Banana plug springs are Beryllium Copper. Standard 3/4" centers.